Seems Brighton just can't get enough of the colours. 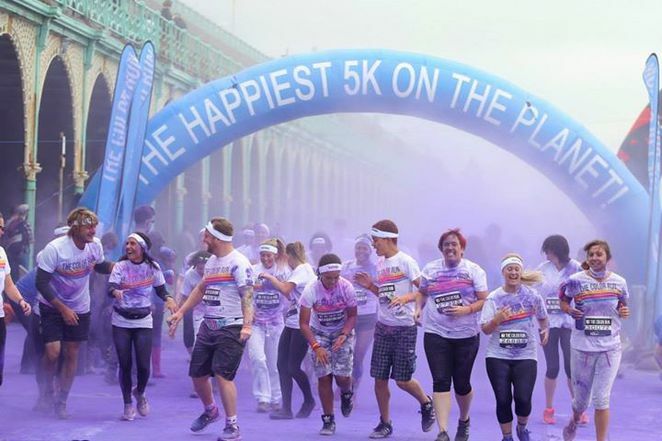 The 'Happiest 5k Run on the Planet' is doubling up with another session at 4pm in this popular seaside town on UK's south coast. Since January 2012, the Color Run has expanded to over 200 cities including Sydney, Shanghai, Dubai, Jakarta, Amsterdam, London, Munich etc. Originally from the US, it is now the single largest running event series around the world with runs in 27 countries including Australia, China, Netherlands, Finland, Singapore, Japan, Belgium etc. The Color Run presented by Dulux is the only running event of its kind in Brighton that marries laughter, partying and exercise with lots of powdered make up. 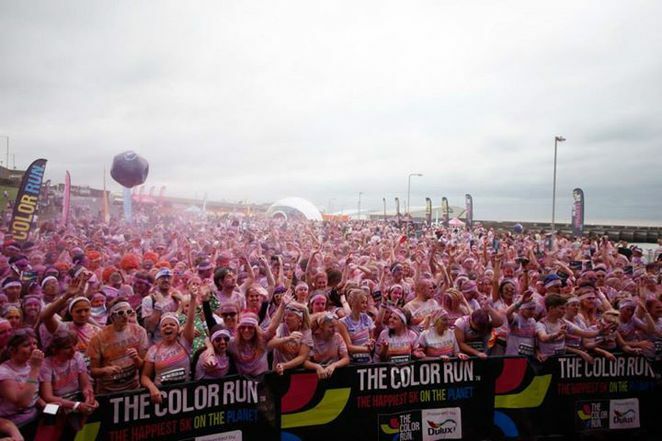 For repeat runners and first time participants who missed out on the 11am event, here's your chance to get colourful along Madeira Drive. If you're still of 2 minds, here are 4 fun-tastic reasons to grab tickets and the promise of a fun day out with family and friends. Do it before tickets are all sold out, again. Everyone is welcomed to participate regardless of fitness level or age. You'll find first time runners, professional athletes, 80 year old seniors and even babies in trolleys. Since there's no race to get anywhere real fast, you can walk, run, dance, crawl and even cartwheel to the finish line in vivid colours. There is no time to beat, no competitors to race against and no world records to break. Its just a fun run which you, your family and friends can enjoy together with layers of colours to show for it at the end of the day. Don't forget the massive colour throws at the finish line. 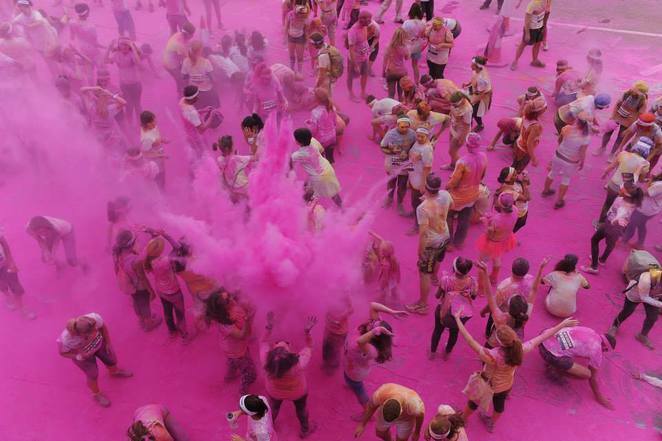 This unique paintrun is the only 5 kilometre event where you will be powdered with colour along the entire route. Then doused some more at the finish line to complete your full makeover with vivid colour combinations. Good news is the powder is derived from 100% natural food-grade corn starch and can be removed easily after the run. Just remember to come all dress in WHITE. 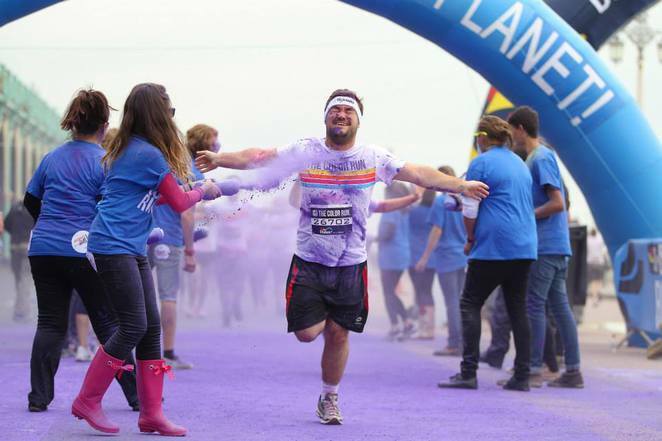 While the Color Run is not a charity, it supports charitable interests as well as raise awareness for local charities involved with the Run. The organiser will share some of the proceeds from your entry fees with such charities. Save the Children which works in 120 countries fighting for children rights and saving their lives, is the charity partner of the run this year. Sponsor Dulux is also helping to make a difference in people's lives by helping to re-colour dull and dreary places in the UK with a fresh coat of paint. 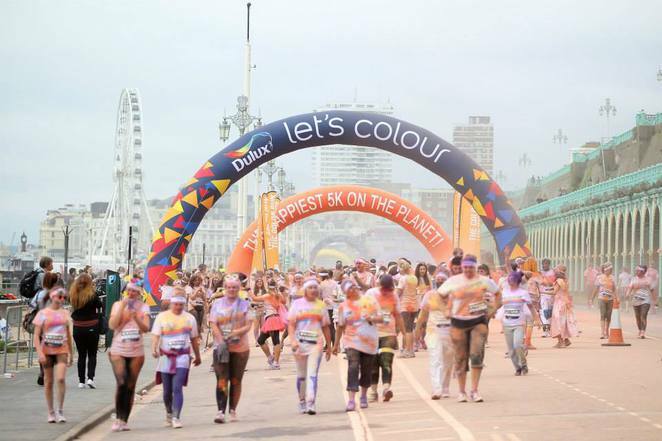 You can nominate such a space for Dulux's 'Let's Colour Project' here. Why? 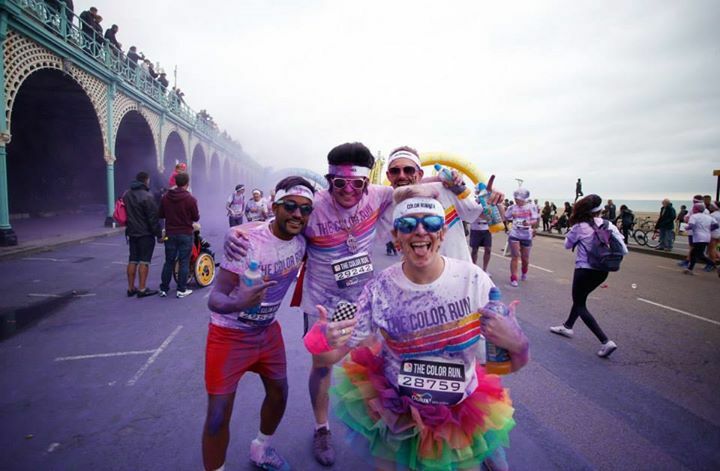 Where else can you join the most colorful fun run in Brighton?